One thing to note: This how-to is a rough guide to let you know what you’re getting yourself into. Cardigan has an excellent FAQ, and walks you through the process so you always now what’s about to happen. It seems pointless to duplicate that, so this an overview for the delete-curious. There are two parts to any tweetpocalypse. First, you can have a service delete your 3,200 most-recent tweets for you. This is a limit set by Twitter. 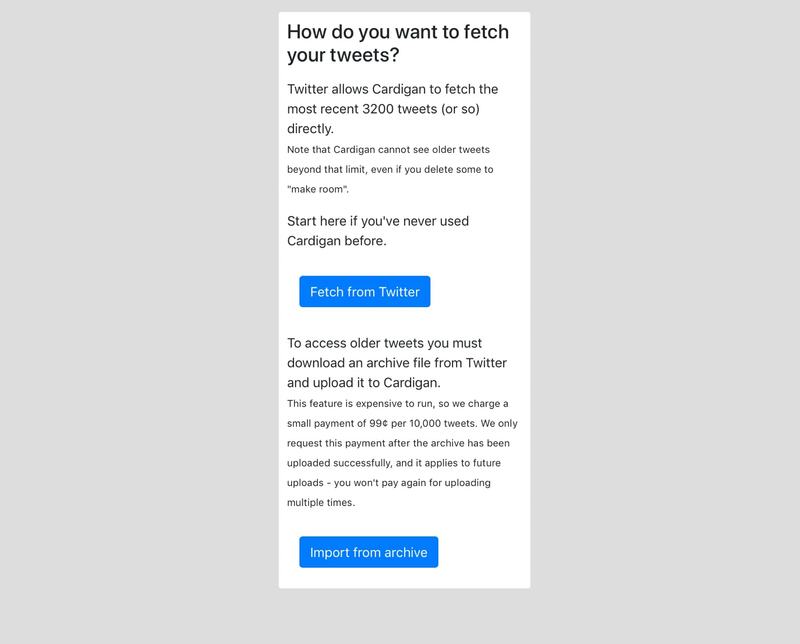 The service — Cardigan, for example — will actually delete your tweets one by one. Apparently there’s no bulk-deletion option, even for bots. If you have 3,200 tweets or fewer, then you’re done. If not, you will have to upload an archive of your tweets to Cardigan, and it will get to work. Let’s go with the first option. Tap the button labeled Fetch from Twitter. Cardigan will collect your most recent 3,200 tweets. It’s pretty quick. After a short while, tap reload in the status screen, and you’ll be able see the progress. Check the box and hit the Delete button to proceed. Your tweets will now be nuked. This is the button you want. If you have more than 3,200 tweets, you’ll need to upload an archive of all your tweets to Cardigan, and it will use that to guide the deletion process. To get your archive, you need to request it from Twitter. This is done from your Twitter account page. On the Twitter site, go to your Settings page, click Account in the sidebar, and scroll down until you see the Your Tweet Archive section. Click to request it. You may need to authenticate with your password. Do NOT use this section. That’s not the one you want. 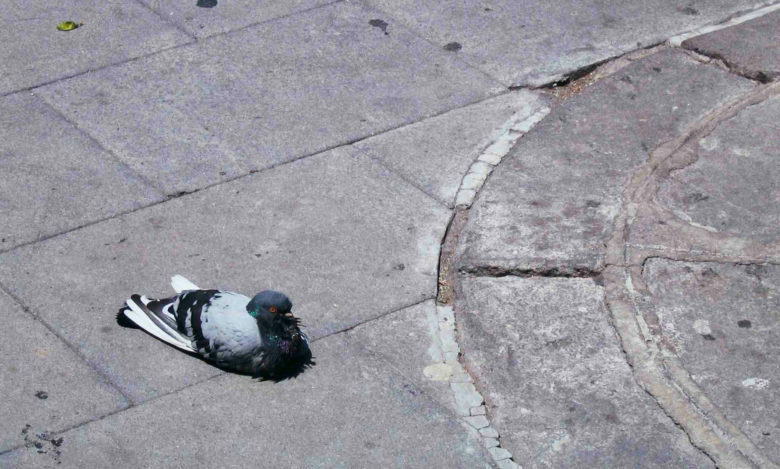 Go ahead and grab it — it’s a whole bunch of your Twitter data, including some images. But it’s not the archive of all your tweets. Then, back at Cardigan, you start the process over. Only this time, when you see the How do you want to fetch your tweets? page, choose the archive option. Then follow Cardigan’s instructions. Once you have successfully uploaded your archive, you can delete your tweets, just like before. The difference this time is that you must pay 99 cents per 10,000 tweets (to cover server costs, says Cardigan). You can pay via PayPal. And that’s it! Your Twitter history is history. Now you can either put your account into suspended animation, or keep using it, and deleting your older tweets from time to time.